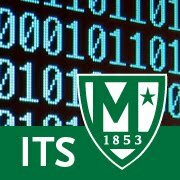 As you may be aware, in order to protect users, all Manhattan College publicly used computers are setup to clear out all user data upon log off or reboot. When you are done using a computer, make sure to log off. Even if you are using your own computer, this is important to prevent unauthorized access to your data.